In the United States, there are 700 common carrier freight service operators and roughly 150,000 miles of railroad track. Railroads have benefited America. They were essential in developing the United States economy, and railroads greatly increased the mobility of the American people. In fact, every day thousands of Americans rely on trains for transportation to and from work or school or for vacation. In addition, railroads are part of America’s infrastructure – responsible for shipping a large bulk of America’s product. Even though there are numerous benefits associated with railroad there are also some downsides. One of these downsides is the possibility of train accidents. How Many Train & Railroad Accidents Occur Each Year? Train and railroad accidents cause many injuries each year. In fact, thousands of people suffer injury because of a train or railroad accident. Why do Train & Railroad Accidents Happen? Train accidents are often the result of a variety of different factors. Humans can often be responsible for train accidents. For example, the train conductor could fail to properly apply the breaks or use a horn. The train conductor could also be responsible for an accident if the driver is operating the train while using a cell phone or engaging in a conversation. Other factors include fatigue and improper training. Train accidents can also occur because of defects in company equipment. For example, the train track can be defective, the crossing signal could fail, or the train itself could suffer from defects. Who are the Typical Victims of Train Accidents? It is possible that a train accident can affect just one person. However, more often than not train accidents affect a variety of people. If there is a major collision, many people can be seriously injured or even killed because of a train accident. Possible victims of a train accident are the passengers of the train, pedestrians, employees of the railroad company, or drivers of a vehicle that collides with a train. Train accidents can also affect entire communities if the accident that occurred resulted in a chemical spill, explosion or other catastrophic events. What are the different types of railroad accidents? There are many different types of railroad accidents including derailments, chemical spills, collisions, negligence, and mechanical failure. Another category of railroad accidents involves railroad employees. Each of these accidents is discussed below. Train derailments occur when a train runs off its rails. This does not necessarily mean that the train leaves the track, but this is often the case. Heavy cargo loads can also cause a derailment. Trains can only carry a certain amount of weight. If the railroad company attempts to load too much cargo onto each cart, it is possible for the train to tip. Often railroads are used to transport hazardous chemicals. Railroad companies are responsible for ensuring that these chemicals are transported safely. A chemical spill could occur if a railroad company fails to properly maintain their equipment. This could lead to injury to the passengers on the train, the employees of the railroad company, and the people that live or work in the area near the site of the chemical spill. As discussed above employees can be injured if a chemical spill occurs. Railroad employees can also be injured if the railroad company fails to provide its employees with a safe work environment. Three basic types of collisions are common. First, a train could collide with another train. In addition, a train could collide with a pedestrian who falls onto the train tracks or is walking on the train tracks. Lastly, a collision can occur between a train and a vehicle. Unfortunately, even the sturdiest car cannot withstand the force of a train collision. Each of these collisions can result in serious injury to the passengers on the train, pedestrians, and passengers in the vehicle that collided with the train. In 1981, roughly 9,461 collisions occurred at public and private crossings. The number of collisions that occur at railroad crossings is steadily decreasing, but the numbers are still devastating. In 2015, there were roughly 2,059 collisions that occurred at public and private railroad crossings. These collisions resulted in 244 deaths and 967 injuries. A motorist is 20 times more likely to die in a crash that involves a train than in a collision involving another motor vehicle. Collisions can occur for a variety of reasons. One of the most common causes of a collision is defective equipment. This includes defective gates at railroad crossings. But, it can also include malfunctions with the train itself such as a brake failure. Trains can also fail to use lights or sound horns when approaching a railroad crossing. These statistics show that railroad collisions are still a serious problem. If you have been injured in a train collision you should consider speaking to an attorney to ensure that you receive adequate compensation for your injuries. Train and railroad companies can cause railroad injuries by committing negligence. 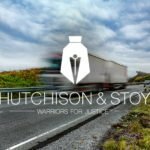 These companies can be liable to injured plaintiffs under the doctrine of respondeat superior if employees commit negligence. In other words, the railroad company can be liable if an employee of a railroad company is negligent. Railroad companies can also be negligent for their own actions or omissions. Examples of actions and omissions that could lead to liability for a railroad company are listed below. Sometimes railroad companies take actions that may be negligent. First, a railroad company may create a dangerous work environment. A railroad company may create a dangerous working environment by hiring an employee that is not qualified for a position. A dangerous environment may also be created by a railroad company if the company requires employees to work too many hours. In addition, a railroad company may decide to use equipment that is dangerous. This decision could be negligence. Most of the omissions that can result in negligence involve a railroad company’s failure to properly maintain equipment. Railroad companies are responsible to maintain train cars, and train tracks. Maintaining the train cars includes ensuring that the mechanics of the cars are working. Railroad companies could also be negligent if they do not complete safety inspections. Railroad companies should perform inspections of railroad crossings and equipment. These inspections should occur at regular intervals and should be designed to ensure that the equipment is being properly maintained. Lastly, railroad companies can be liable if they do not provide employees with adequate training. The employees must know how to properly operate all equipment and must know what to do in case of an emergency. If the company fails to provide its employees with this training, they could be negligent. Mechanical failure often involves the poorly maintained company equipment. For example, the railroad company could fail to maintain the generators or locomotives. What Types of Injuries are Common in Train and Railroad Accidents? Train accidents can result in devastating consequences. The types of injuries that are common in train and railroad accidents depend on the type of accident that occurred. Each one of the accidents that is discussed can lead to serious injuries. If the injured person was a passenger on the train common injuries are whiplash, head injuries, and back injuries. If the injured party was a pedestrian common injuries are typically more severe than injuries that passengers on the train may suffer because pedestrians are often more vulnerable. Due to this increased vulnerability wrongful death occurs often when a pedestrian is involved in a train accident. If the injured party was an employee of the railroad company, the employee could have been exposed to dangerous chemicals. The injury that the employee could suffer based on chemical exposure depends on what chemical the employee was exposed to. It is possible that the employee could develop cancer (especially lung cancer) or other serious conditions. What types of damages can a Train Accident Lawyer Recover? Victims of a train accident can recover economic and non-economic damages. Possible economic damages that victims can recover include medical bills, property damage, cost of rehabilitation, and lost wages. Train accident victims can also recover non-economic damages including pain and suffering, loss of consortium, loss of enjoyment of life. If a railroad company was extremely reckless it is possible that a train accident victim can recover punitive damages. 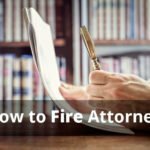 How can a Lawyer assist in a Train Injury Lawsuit? Train and railroad accidents happen. If you have been injured in a railroad accident you should consider speaking to a personal injury lawyer. Speaking to a lawyer could be the first step to ensuring that you receive adequate compensation after an accident. 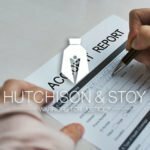 The lawyers at Hutchison & Stoy, PLLC are here to help. You can reach us at (817) 820-0100 or fill out a free case evaluation form online. Filing a lawsuit is a process. We can assist you through each step of this process. First, we can provide you with a free case evaluation to help you determine if you should file suit. We can also help you determine what types of damages you should be able to recover. We can also explain other options that you may have such as the potential for settlement.